I'll post this over here as well. 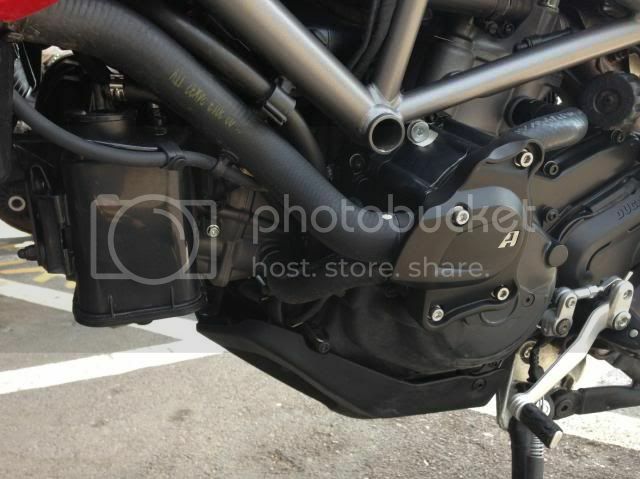 This is Multistrada 1200 parts obviously because no one currently lists parts for the Hyperstrada. Well they fit as I suspected and I’m glad for it! I will probably do the radiator guard and tail rack next. Were you able to install the pump guard with out coolant loss? I have been debating if I should put a pump guard on and remove the frame slider. I don't like the looks of the frame slider. the guard fits over the top of the original pump housing, you don't have to remove all the securing bolts, so providing the bike is cool and no pressure in the system, there shouldn't be any coolant loss. Anyone using Hepco rack for Multi12 on HS? The gap between seat & rack seem closer & tighter. It may or may not be able to remove seat after installing rack & top case.